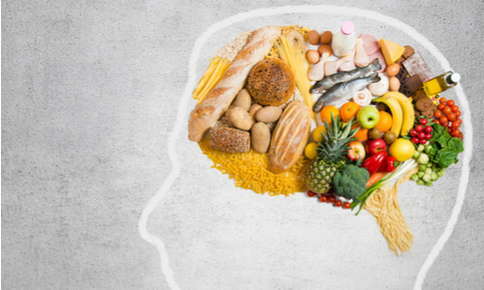 Is the MIND Diet right for you? Thanks to a diet developed by Rush University Medical Center researchers, you may be able to significantly lower your risk of developing Alzheimer's disease. The researchers discovered that a diet high in leafy greens, berries and whole grains offers a simple way to avoid the devastating disease. Alzheimer's disease affects approximately 5.8 million Americans, according to the Alzheimer's Association. Although memory loss is the symptom most associated with the disease, it can cause many other symptoms, including confusion, disorientation, mood swings, hallucinations and difficulties with speech and movement. Most of us would do anything to decrease our chances of ever developing Alzheimer's disease, including changing the way we eat. Fortunately, this new diet shows real promise in lowering your Alzheimer's disease risk. Called the MIND (Mediterranean-DASH Intervention for Neurodegenerative Delay) diet, the diet is a combination of the Mediterranean diet and the DASH (Dietary Approaches to Stop Hypertension) diet used to lower high blood pressure. Rush researchers discovered that people who strictly followed the MIND diet reduced their Alzheimer's disease risk by as much as 53 percent, while those who stuck to it moderately experienced a 35 percent lower risk. The diet focuses on brain-healthy foods, like leafy greens, whole grains, berries, fish and poultry, and eliminates or limits unhealthy food choices, including butter, red meat, cheese and fried foods. Although it's not clear exactly how the diet works, it may help reduce both inflammation and damage to the body caused by an overproduction of free radicals. Free radicals are molecules that play a role in many diseases and conditions, including cancer, heart disease, Alzheimer's disease, Parkinson's disease and cataracts. In addition to lowering your Alzheimer's disease risk, the MIND diet may also decrease your risk of heart disease and high blood pressure. What Foods Should I Eat if I Want to Follow the MIND Diet? Berries. Eat blueberries and other berries at least twice a week. Fish. Healthy fish choices include salmon, tuna, mackerel, trout and other varieties high in omega-3 fatty acids. Plan to eat fish at least once per week. Poultry. Chicken and turkey should be added to the menu twice per week. Leafy Vegetables. Add spinach, lettuce, kale and other green, leafy vegetables to your meals six times per week. Other Vegetables. In addition to leafy vegetables, you'll need to eat one other vegetable every day. Nuts and Beans. MIND diet recommendations include five servings of nuts per week and three servings of beans. Whole Grains. Whole grains including brown rice, whole-grain bread, whole-grain pasta, oatmeal and quinoa are recommended for all three meals every day. Olive Oil. Substitute olive oil for butter, lard, margarine and other cooking oils. Wine. A glass of red or white wine per day is perfectly acceptable on the MIND diet. Which Foods Should I Limit? Red Meat. Red meats, including beef, pork, ham and lamb, should be on the menu no more than three times per week. Cheese. Cheese may seem like the perfect accompaniment to wine, but it should be only be eaten once per week. Butter and Margarine. A thin coating of butter or margarine on your toast in the morning is perfectly fine, but avoid using these fats for cooking. Sugary Treats. Eating too many desserts and sugary snacks not only raises your Alzheimer's risk but can cause weight gain. Indulge in these treats four times or less per week. Fried Foods. Fried food should be avoided if possible. If you can't resist it, try to eat it no more than once per week. Healthy eating, regular exercise and stress reduction can help you manage your Alzheimer's risk. Yoga offers the perfect way to lower your stress and get a little exercise. Have you been thinking about taking a yoga class? Whether you're a beginner or yoga is a daily part of your life, you're sure to find a class that's ideal for you. Contact us for information regarding class schedules.